When I met the lovely Isabella today she gave me a "ginger shot" which of course had ginger in it. A lovely healthy drink to "heat me system!" she says! 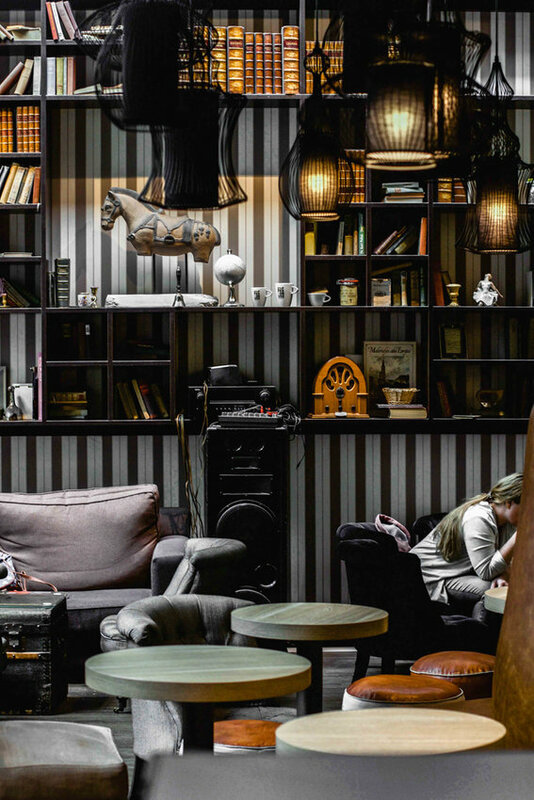 The first thing to see as you enter the beautiful cafe is the architectural designing touch that you have with the tree trunk in the middle of the living room, and the eclectic decor with books lining the wall as if in a private library. 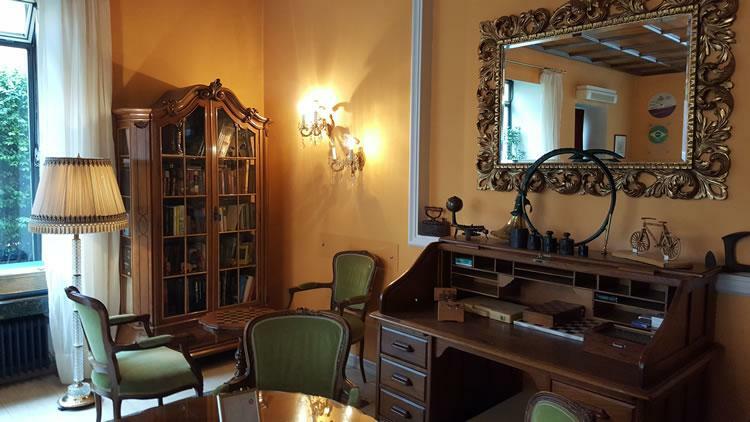 At least that is the aura of the place, as if you are entering somebody´s living room and library. "It is of course supposed to resemble the feel of a tree in your house, yet it is only a supportive column," says Andreas as he shows me the Coffee House. 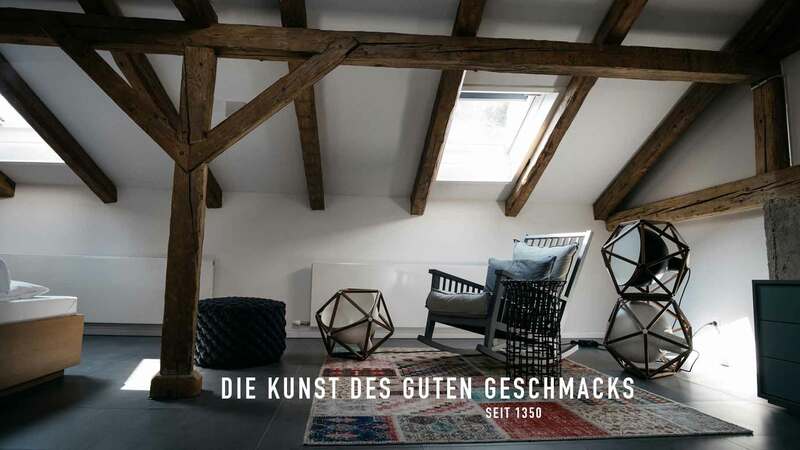 His wife, Isabella says that while she is the creative one, having been in the Salzburg theater world the last 5 years, the decor is a combination of her and her husband's ideas. "We added the bar, for instance, and some decorative ideas, yet the sofas and most of the design was done before. What is us is the baking items, the food, the vegan and vegetarian and gluten-free emphasis that we have on a lot of the food here. We're both into vegan and vegetarian in our personal lives of the last 10 years and we wanted to open a cafe in Salzburg to introduce that way of life to the guests." I found the Coffee House to be very charming and especially reflective of the beauty and the ghostly feel of Salzburg in the morning. "The Coffee House is both a place to inspire and to relax. We want to welcome people from everywhere in the world to try the fresh juices, the ginger shots, the vegan and vegetarian recipes and to chill. That is a better word, to chill. However, we do have poetry readings, literary readings, theatrical events and comic nights. Plus, music of all types. We have a couple of these each month during the night hours and we do a couple of musical brunches with live musicians. The people love that and if you are here on the 26th of April you can hear the Jokesters, a comic group or you can have brunch on Sunday the 28th with live music. You can check out the facebook site and find the schedule for the month ahead, that is in the future." 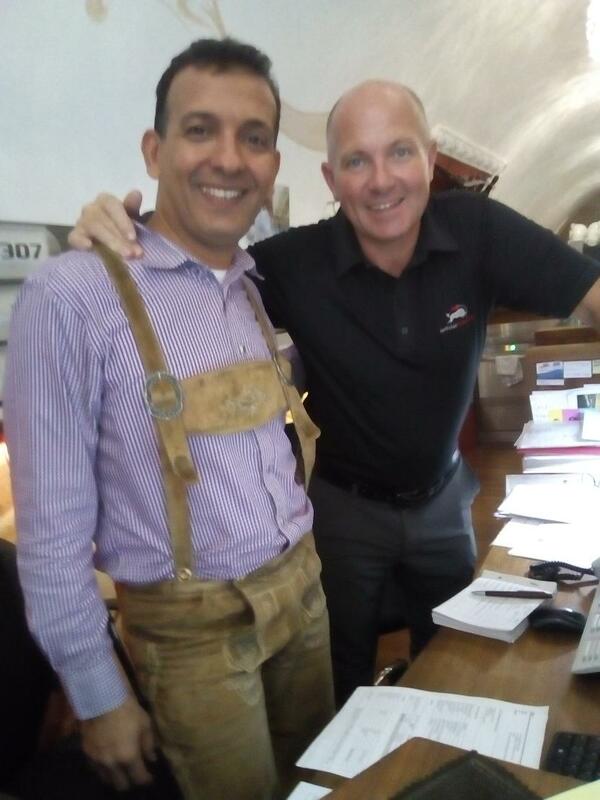 At Humboldt Restaurant and Bar, it is about eating healthy to energize and cleanse the body, and since the partners, Martin and Micheal, the M & M`s, own the famous Local Salzburg Dance Bar next door, named HalfMoon, they need the energy themselves! "The Dance Club is local and the restaurant has locals and tourists and basically, that is the way we wanted it to be. When I go somewhere on vacation, I always ask the locals where they go to party to drink to eat, etc. I want to see the real culture and meet the real people, I don´t want "touristy unauthentic places" and I believe that is the way with most people. And at both the club, and the restaurant people can come in here and chat and eat at a real Austrian Restaurant that just happens to be chemical-free and totally organic. The food tastes better, I would say different than what you are normally used to, yet at the same time better. Maybe you are used to eating food that has a lot of chemicals in it and so you don´t taste the natural food and here you taste the natural flavor of the food and you become used to that taste. And it is healthy for you and gives you energy which is totally important to me." The team from the Halfmoon along with the wardrobe, barkeepers and barmaids are the best in the city and always have great reviews! The dance club is open only Fridays and Saturdays from 22.00pm to 5.00am. Have fun! Although with every Dance Club that has Doormen, you sometimes feel a little nervous about being able to enter, but never fear, the HalfMoon welcomes everybody as long as you are nice and want to have fun! "Every item in the restaurant is organic, every one. That is very special since most restaurants may have one or two items in a dish that they can seriously say meets the requirement of organic certified food. We even have organic beer-bio beer, too. For a restaurant to say that they can guarantee the plate they serve you is totally organic is rare. It is difficult to do and it is expensive since the farmer´s that grow vegetables and raise animals 100% chemical-free have to invest a little more time and money in making sure their products are totally organic and fresh. We started Humboldt´s 6 months now, and I have been eating that way totally since we opened the restaurant. I honestly feel much more energy when the Dance Club next door opens on Fridays and Saturdays. You can feel it in your body, it is a sense of having eaten something that is good for you, yet not feeling weighed down. It makes you feel great, actually," says Martin as he tells me about Humboldt. I personally LOVE that EmmeAnesBook now has a 100% totally healthy organic restaurant and cocktail bar on it. I am into eating food that builds a body up." 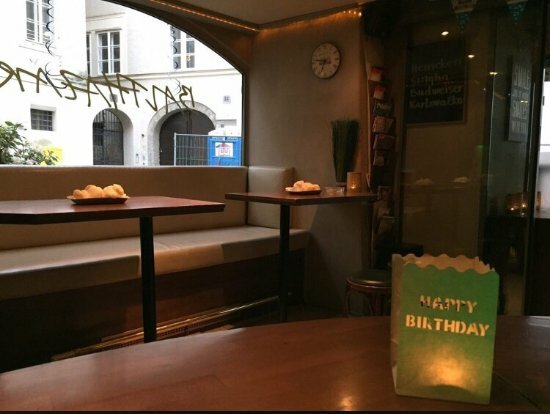 "The Humboldt Restaurant is located right next door to the HalfMoon, and after about 12 years in the business of Dance Clubbing, we had started to try to find a place for our healthy restuarant and when the Humboldt´s opened up, we grabbed it! Love the location and love the fact that the guests here can ask where they can go have a little fun til 5.00am on Fridays and Saturdays and we say right here!" says Martin! Alright, bud, give a hug and let`s go start dancing! the social media, such as facebook and it is open every Friday and Saturday." "Treat people as friends and guests. The most important thing to do at least in my life is treat people with respect. The reason that I am a risk taker is that I enjoy life and it´s challenges. I want my places to be my home. And many years I had a Pakistan restaurant where the Burrito Factory now is. I wanted the people of Salzburg, and perhaps my own love of my land to be represtented here and many many people came to eat the Pakistan real dishes. Now, me and my wife, Kersten, okay okay, just me since Kersten says to me, "Are you sure! you want to get rid of the Pakistan restaurant and put a BURRITO MEXICAN RESTAURANT IN! 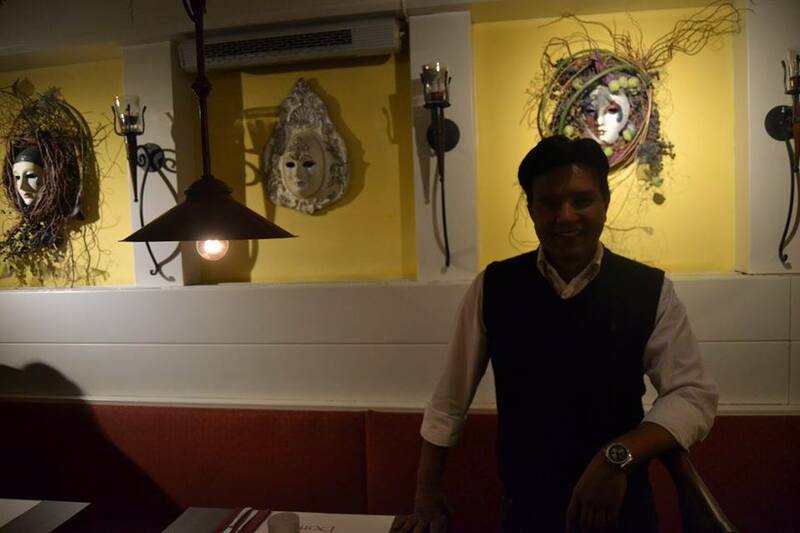 ": AND I SAID YES I AM SURE" says the funny Irfan Usman of the Trattoria Domani. "And my son, Ammar, I send to other restaurants and say to him to tell me if he loves a restaurant that is busy and why he doesn´t like restaurants if they are empty. And it is always the friendly people, the good atmosphere, the laughter when you enter the restaurant and the laughter when you leave and are happy in life. Life is meant to be enjoyed NOW. Okay, putting a Mexican Restuarant in a fancy Pakistan restaurant is a BIG risk, that is true. Yet, I love Mexican food and the young people love Mexican food and we tried and they love it!" "My young wife Kersten is the boss of Burrito Factory and she does a amazing job," says Irfan. "Yes, it is nice and if you could tell the guests that the beer is imported from Mexico, for example, the Solitos that you drink is actually from a distributor and it comes directly from Mexico. The vegetables we buy fresh here in Salzburg and make the authentic Mexican food. It is a fast pace here and just real good food. However, if you ask Irfan which food he loves to eat he shall say Italian!" says the charming Kersten. And Avocados, of course? I ask since I LOVE AVOCADOS... and here they are! "The Italian restaurant has Venetian masks decorating it, and yes they are real masks. Very expensive, yet I love the masks and the idea of carnival. The guests always ask to sit under the mask and if they want to try these on, we can help with that! I guess, let`s see, why do the people love my restaurant? The food is the best Italian in the city and my team is the nicest and funniest and we love life. That is why. The wine helps, too!" laughs Irfan. Some of the team at the Burrito Factory and the Trattoria Domani above! As we chat the young son, Ammar, his father, Irfan and Kersten are picking out my favorite colors of teal and white to adorn the new Italian restaurant that is soon to open in about 4 weeks named, STO BENE. "That translates to very good, like how is the day doing? And you say, Sto Bene. It is a little different because I don`t want to compete with myself. Here we have the pasta and pizza and the fresh catch fish, for example. IT is another risk, of course, yet I told you risks are fun!" he says laughing. "For me, it is Respect and laughing when they walk out the door. If they are not laughing when they walk out the door, I run after the guests and ask why. It is that important to me. Come have fun. Meet my family. Love life!" 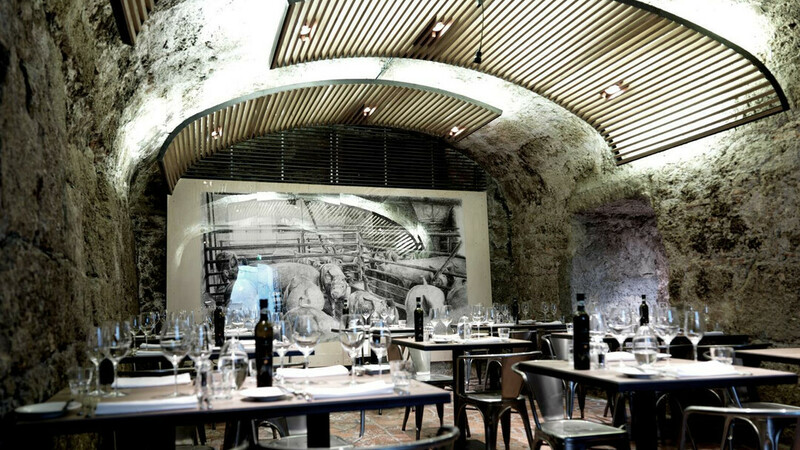 Cook and Wine is a juxatoposition of a Cooking School and a Fine Dining Restaurant, set to the left of the Peter´s Monastery, in the Old Town, where the famous Mozart Concerts are held. "Yes I had the cooking school which is International the last 4 years and since 1 year I have had the restaurant here named Cook and Wine and the Cooking School in one of the dining rooms that has a folding blind attached where you can cook and dine in the same place.!" says the very friendly and sweet Capo, Gunther, of the Chic Cook and Wine restaurant. "Plastered all around the restaurant you see white stretched clapboards with the guests drawings and writings...these essentially are the guest books, and we love to have fun." 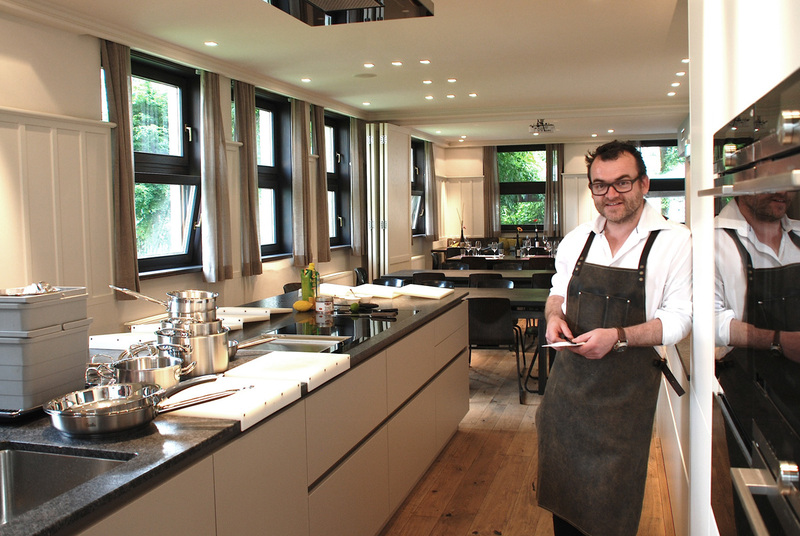 "The kitchen is international and as of now the last year about 70% Austrians that find us. 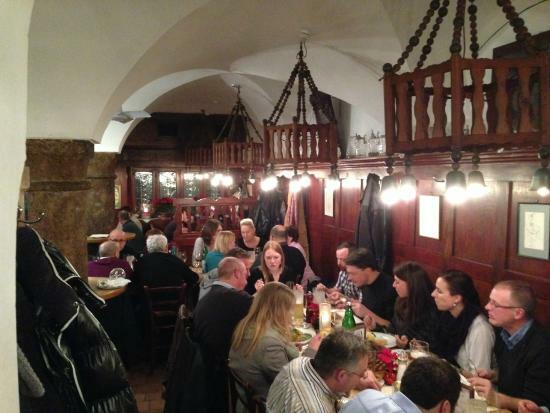 I wish the tourists would venture the last 100 meters from the Mozart Concerts to us and find the real authentic Austrian restaurants, including mine. I love the Cinema shaped open window room where the guests can feel like they are in a Movie room watching the room, drinking 6 bottles of wine 3 hours like the 5 german girls do a couple of days since and having a lovely life. That is what my restaurant is all about. Enjoying life and eating exotic food freshly prepared with a bottle of wine. " he says. He is a little sophisticated yet friendly as can be! "Here is my cooking at the Cook and Wine school. And when the people come to eat at my restaurant, named Cook and Wine specifically because we are a restaurant for long hours. You can come and eat dinner and sit with friends for hours and have a couple of bottles of wine. It is all about the wine. Yes, of course we have beer for the guys that want to just relax, have dinner and a couple of beers; however, the richness of the restaurant is the wine." says Gunther and his cook , Philip. "Yes Philip is the restaurant cook that you have when you come to dinner and I am the cooking teacher. And no no no no the students cooking the dinners do not give you the food they cook, under any circumstances!" laughs, (seriously) Gunther. "The cooking school is open such as, let´s say a couple of people visit my website and see the cooking classes. http://www.cookandwine.at/ They can email me or call me and we can fit each person in a class. It is that simple. We want you to have a good life and a good memory in Salzburg. Come and cook with me! I am the one and only teacher. And if you want to join 10 other people that is alright. If you have a group of 6 to 20 people, I open the folding doors and have a private little dining room for you.And yes we do cook with wine in the food, sometimes unintentionallly," he laughs. loves life and is funny. His food; however, is exquisite and even though he jokes about he guests not eating his client´s cooking school food, all the pictures here are of his school...so.....! The owner of the Blaue Gans is a delight and I had the pleasure of sitting outside at lunch today to interview him, "You know we have many festivals in Salzburg, the Jazz festival I would be most interested in you promoting since it is about a fusion of culture in the sense of the way a classical ear is trained to listen to music. The typical Mozart concert today always has a certain rhythm to it. 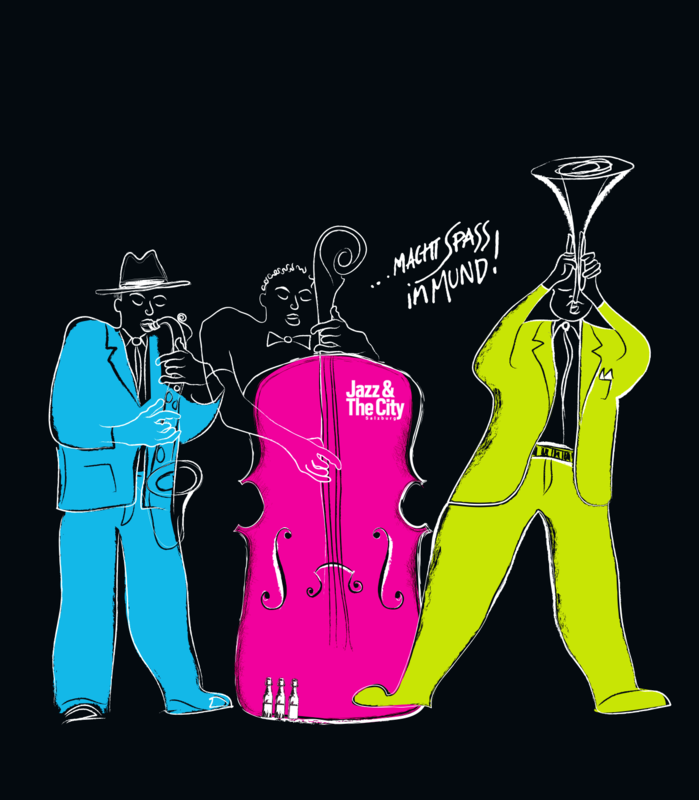 The Jazz is outside the norm of that rhythm and makes you listen to it in a different way, yet it stretches the culture and sophistication of the ear since you must learn to be in sync with different rhythms." he says. "My hotel is from the 1350s and it is a 4 star. I believe that my sophistication and attention to detail and art lends a certain level of respect to the hotel and restaurant the minute you walk inside, yet the team is super friendly and sincerely nice. They laugh and smile and I try to be a good person with the team and a good boss. The kitchen, for instance, is always sitting down and eating in the restaurant at 11.30am everyday, not the room of kitchen staff, yet the real dining room. That is a very Italian style of team building. They are my team and I want the team to feel comfortable in the place that they represent," he says. 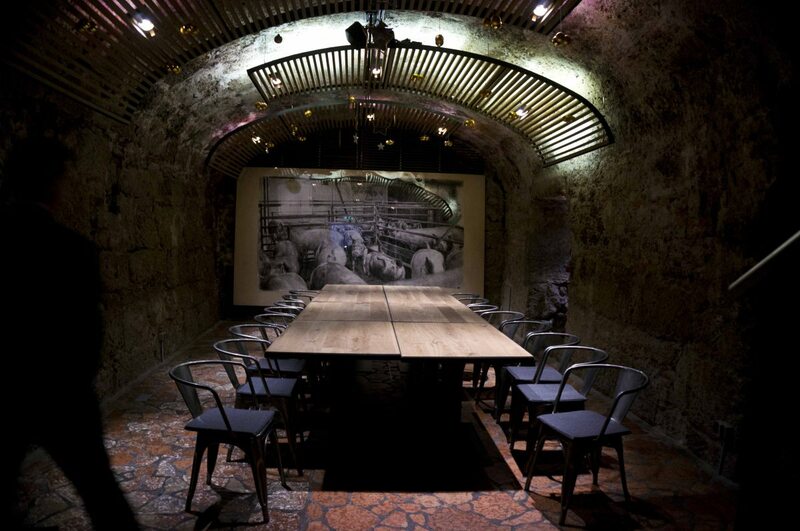 "We have a deep cellar of wine of 1,500 bottles in the refrigerator that the groups of 10 people or more can enjoy seeing while they dine. The menu is set and they share, along with different wines, they share plates of degustation. 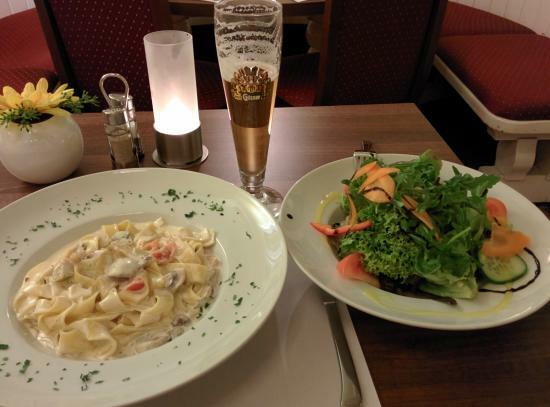 Although I don´t have Michelin and nor do I want Michelin, since the menu would have to change and I specifically asked for a traditional Austrian kitchen, the menu is 4 star." and restaurant with a huge party and the renovation of 22 of its rooms, (34 is the total) GORGEOUS! "We want you to have a EXPERIENCE when you come to Di Renzi, which is why we have the open intimate restaurant where the cook is performing for you as he cooks the dinner. He PRESENTS it to you! People fill up the restaurant everyday, it is a small romantic restaurant with authentic Italian cuisine presented exotically and it has started to have a great reputation. We´re very happy with it!" says Senad. The Chef´s view of his guests is what makes the authentic recipes of Italy very special. The regional cooking of the Italian recipes and products,of which 90% are imported from Italy,are best showcased at Di Renzi for the simple fact that you can see the chef creating as wait for dinner. It is a magical process from start to finish and you truly appreciate it when you finally have the one that is made for you! "At first it is open til 7.30pm, yet now I am open til 6.00pm so I can see the twins. 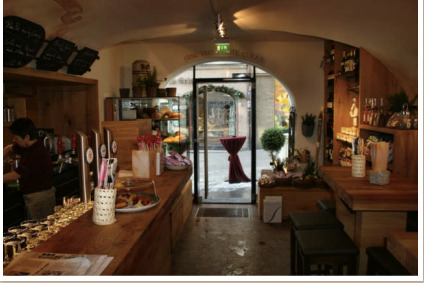 And yes, you can come and have a glass of wine if you wish and a very healthy sandwich with salad, tomato and cheese, for instance, yet it is primarily my baking that I wish you to try," says the lovely girl who owns the KUCHEN FEE BAKERY CAFE in Salzburg. I ask her what exactly does Kuchen Fee mean? "The CAKE FAIRY!" says Stefanie! The Austrian woman, Stefanie, who owns the little adorable cake cafe is delightful. She is full of joy and laughter and "a little bit exhausted the last year since I had twins almost 1 year ago and they are starting to crawl!" Do the twins eat the cakes, I ask her. "NO!" she exclaims. "Sugar! Um no they don´t receive additional sugar! My older son is doing his A levels and he loves the cakes, though and my husband loves the cakes. Me? It is since 2 years having owned my first bakery and it has been awhile having eaten my own cakes." I tell her I would eat the batter and every cake! "I started baking the cakes at the cafe with 4 cakes and now I do 10 cakes. I love baking. At first it is relaxing, yet with my big baby the bakery, my twins and my husband and older son it is a little less relaxing. However, on Sundays, I come here and bake where it is nice and quiet!" she laughs. "It is still my love since I opened my first cafe, yet the twins are the most important. Family is the most important to me now." Okay, I say, I can come eat the cakes! 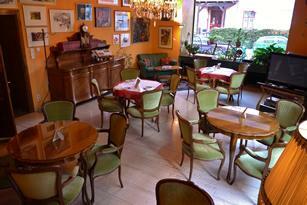 Located literally about 300 meters from the Bridge to Old Town Salzburg! "Hmm, why do I love Salzburg at the Hotel Krone," muses Nikolaj,the director of Hotel Krone, who I remember from the 3 years since having interviewed him and stayed at the Lovely Hotel on the famous cobblestoned Linzer alley, "I love my team the people that I am with everyday and that work with me. They are the greatest and I love the guests since I can meet everybody from around the world here. I used to live and grew up in Canada and I guess I am accustomed to the North American culture since I enjoy guests from America, they are always nice and enthusiastic to be here. The Germans, since I am German I can say that, are a little more detailed, for instance and ask a lot of questions. Most guests, though not all, come and they are very happy to have you tell them some places to visit in the city. Most, too, when I give these free drink slips to each guest that stays here!" he says. "The hotel now is a foundation and its purpose is rewarding to fulfill since the profits of the hotel go directly to the disabled child of the deceased older couple. It is a historical house and the city is famous for the music and I hope people enjoy the stay with us. We have a beautiful garden outside in the back of the Hotel Krone where guests can have breakfast if they choose to do that." How about the Bartending team! With 4 owned restaurants that graciously offer you a welcome drink, staying at the Hotel Krone couldn´t be better...Or could it?! Yep,it could, RIGHT NEXT DOOR ATTACHED IS THE COOL BAR! with the WORKING CLASS COFFEE & BOOZE(aka film"why him") drinking bar of beers and spirits attached to the Hotel, you can just keep on having fun in Salzburg and mosey on into the hotel room. SAY hi to MIJO(pronounced Meo) and ZLATKO the bosses of Coffee and Booze! Visit one of the 4 restaurants offering a welcome drink, or all 4 if you really love Austrian beer and wine, starting with Barenwirt, a traditional tavern, or Geheime Specerey, a italian french romantic atmosphere, Cafe Glockenspiel, one of the most beautiful settings on the planet, or Daghofers with its outdoor dining and craft beers! Me, personally, I will be kissing the bartenders with my beer and wine! "The headquarters of Vom Fass are in Waldburg, Germany, where the products for all the stores are located and the barrels, too, where they purchase the bourbon from 3 places in Kentucky," says Sascha. 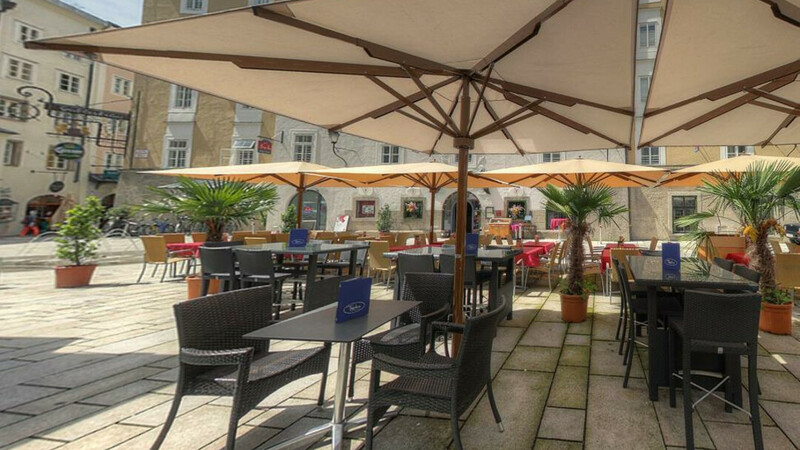 At Vom Fass in Salzburg, it is about the experience, the taste of the liqueurs, the mixing of the specialty vinegars, such as a wildmango with pumpkin oils, or try a hazelnut! They have many natural varieties to create that perfect cheese aside or salad. If you want a gift or you love to surprose your friends with dinner parties, you should really come to Vom Fass and shop! It is total fun and a amatuer chef´s dream! Gives you a little idea of how to use the products in the store, too! "I believe that people love the store since they can ask questions and find answers on how to create great dinners with the specialty items and the before during and after dinner drinks!" jokes Sascha. I say that the creme liqueurs taste like candy and perhaps would be a little to easy to drink. The grappas ; however, are a little too harsh. "Yes, yet the grappas that we carry in the store are smooth and have been properly distilled, it depends on how expensive the grappa is. A more expensive grappa is usually easier to drink and doesn´t have the burning sensation. The schnaps is usually much smoother, honestly and Austria is famous for schnaps. It isn´t supermarket schnaps." says Sascha. "We have specialty wines from about 5 countries in the store in Salzburg, Spirits of all kinds, 3 kinds of Gin pastas, oils, vinegars, whiskeys, after dinner liqueurs, you name it and we can help you plan that perfect dinner party and find that perfect gift! And the fact that you can ask me questions to help you is a plus. A specialy store such as Vom Fass is famous for their expertise in educating the guest to each product and how to mix these. I hope that the people have fun when they come in here and let me know how happy they were with the purchase!" says Sascha. "We´re both from Bosnia and actually met when we both married sisters. We became great friends and for the last 4 years me and Damir have been running the Timeless cafe. A friend of ours who owns the famous ice cream of Salzburg, the Original ICEZEIT Eis, told us that he had a great cafe for us to run. 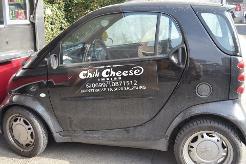 We loved the idea and have been here ever since and carry his ice cream in the summer months. The cafe is cool since it is great for families in the morning for breakfast and the working people around the cafe for lunch. You can come and enjoy cake and tea, for instance, such as the green tea you are drinking now, in the afternoon and at night a light mixed cosmopolitan dinner and cocktails til midnight. The tourists especially love the outside patio when it is nice outside," says Senad. "I enjoy my day since I meet many people who have become my friends and many tourists from around the world who always have great stories to tell. 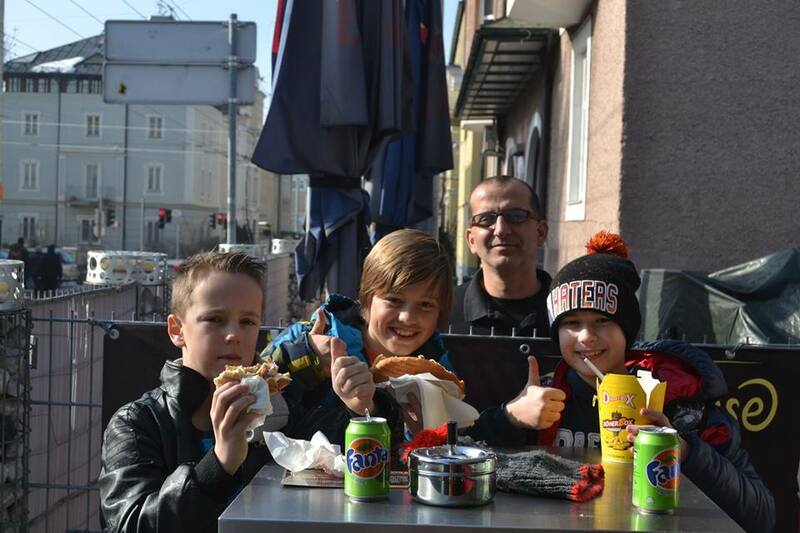 They love Salzburg and are very happy to try a Austrian Breakfast, for example. We don´t have Eggs and Bacon, such as in the United States, and the American students love that too. It is just a nice place that has many varieties all day and I guess that is why I´m happy here." "At night we have a young guest who loves to chat and have a couple of cocktails. 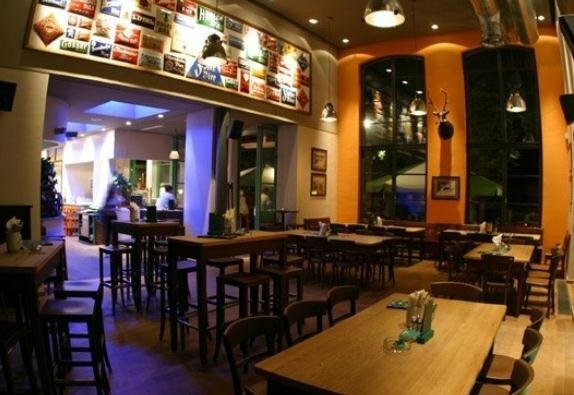 It is a very eclectic place, from the funky lights to the menu we serve. We want a mixture of many things to show here. We are both Bosnian and speak English, Bosnian and German. You say that the restaurant looks very Eastern European in its decor, yet although I believe it is true, if you went to Bosnia it isn´t the typical cafe, either. It is a mixture and we love it that way,`says Senad. The restaurant Inner Gebirg in Salzburg is a cozy authentic hideaway complete with fluffly sheepskins on the backs of the chairs, homemade schnapps that the father, Alois makes himself on Gerald´s brother´s farm, and fresh meats from that same farm. 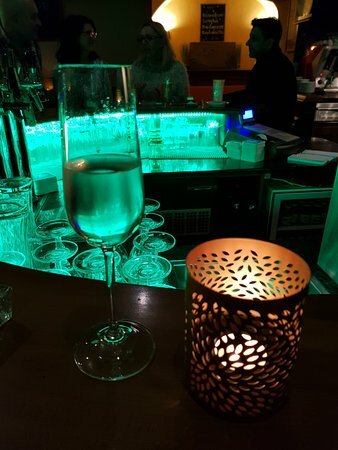 A cozy romantic alcove with very local prices that make it difficult to find a table less you make reservations. Try it tonight. Along with the fresh products from the farm near Salzburg, the restaurant caters to the regional fare. It has the local sausages and the real spinach and meat dumplings that are not like the American dumplings at all. Beautifully presented and very tasty, a must if you want a real authentic Austrian restaurant. after the first success in Vienna, just about 2 weeks now on Getreidegasse 26, opposite the Blaue Ganz. 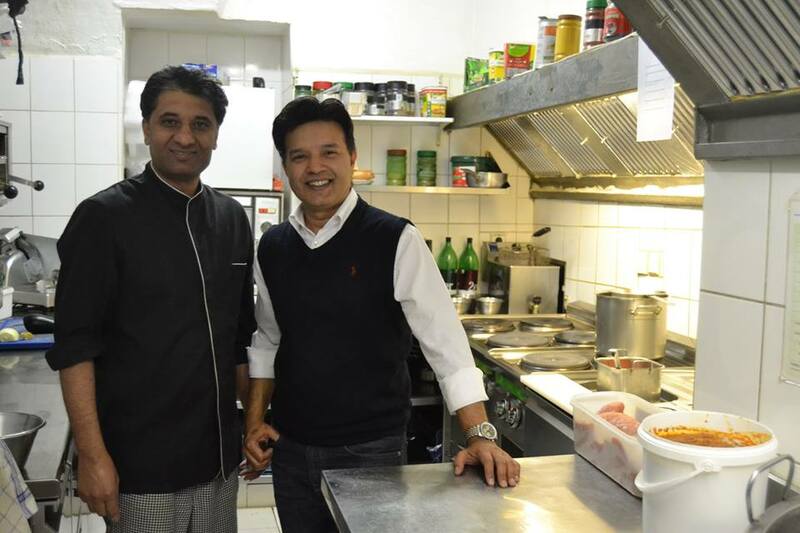 "The Vienna location is very big and very fun and it has been opened a couple of months now, " says one of the owners, Amit, whose brother, Sunit and partner Shay run the Vienna location. "I am not a doctor, although the Cannabis is used for medicinal purposes, it is best to ask your doctor of which quantity and specifics. I can tell you about my products, though, yet I am limited by law to instruct a person on how to use the hemp or Cannabis. 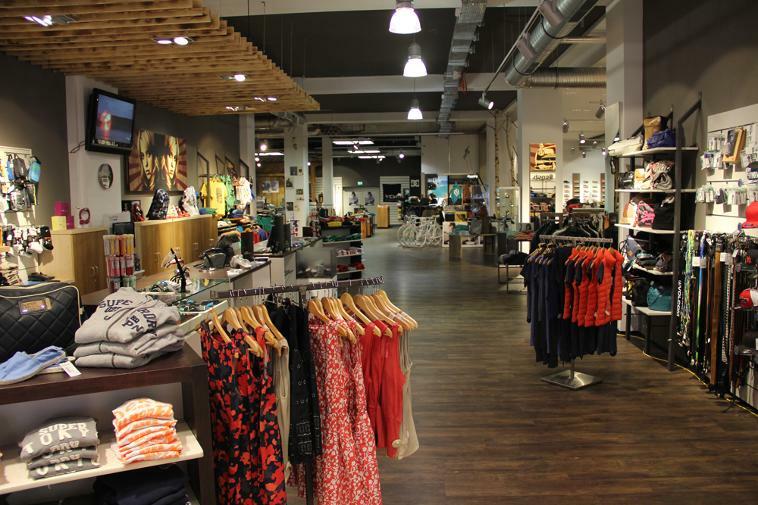 Let´s just say that it is a fun store and that it is meant for pleasure.!" "We´re from near Vienna and thought it a good idea to start a medicinal soothing type of store with the CBD benefits prominent in mind. We opened Vienna, which you see here and thought to open the one in Salzburg the last couple of weeks. The response has been great and people ask a lot of questions, which I can answer to a point:just ask if it is legal, for instance. Every item is of a legal substance in my store, too, and has a safe quality of CBD," says the young Austro-Indian owner of House of Hemp in Salzburg and Vienna. "Since it is new for me, too, it is exciting to talk to the people that come in who ask for various products and that in a way let´s me be on the lookout for something new in the field of Hemp. I enjoy the atmosphere of the store since it is a new guest. The Store is great in the sense that we three learn with each other, Sunit and Shay and me learn about the benefits of CBD together"
Here in the little sweet and cozy charming lobby we all sat and had a beer during the interview...I waited 3 days for that beer why? "Happy Hour at the Hotel Hohenstauffen from 5 to 7...2Euro beers..."That is for the last 10 years, however, when I asked Linda tonight, is the beer still 2.00euros at happy hour!? NO! We raised the price to 3.00euros now!" she laughs and I say I shall meet her for a beer at 7.00pm! My favorite room is the parlor which has every imaginable board game to challenge you and start conversations along with competiton! Very cozy , warm and affectionate. The first time I interviewed Linda and Andrea he said, "When I first saw Linda I thought she is the most beautiful and the most intelligent girl at the school. And there is 500 students at the school. Whenever there is a test I would peek at her sheets sine I came from Portugal and I spoke very little German. All the people in the class wanted to see her tests since she is the only one who had all the answers right!" I loved that story so much I kept it in the article! Alright and the funniest tourists? "The Americans they always show the paper right in the face here is the reservations they say and they always need directions from the train station and they always come on the last train and in the morning they rush rush rush...the Asians always show the reservation paper first yet they have even less time! The Italians, Austrailians, Germans and Austrians sit and chat." Hmm I laugh that is true. I love the rooms since they are old fashioned and mine has a little canopy at the top, with traditional doors all handcarved wood, plus since it is a bed and breakfast ideally it has that homey feeling to it. http://www.hotel-hohenstauffen.at From the 4th floor collection of vintage prints of a cool car collection(and i am on the 3rd) to the sweet old-fashioned breakfast the little charming hotel is full of treasures.Linda personally brings you the china set of tea or coffee? She is definitely from the old school of etiquete although when I asked her if her and Andrea kept the techniques of the Hotel School? "NO!" they both emphatically say. "We do all of our own stuff. 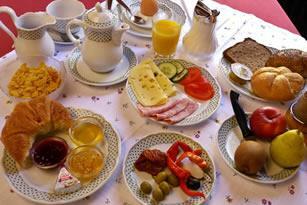 We changed everything from the service to a buffet breakfast to redecorating the rooms to suit our taste. It is a technique school to teach you the basics of how a hotel should be run however when you take care of you´re own you do all things differently!" they laughingly admit. She is very beautiful, Fleur, the wife of Darko from Croatia, who owns Balthazar Bar in Salzburg, and gracious too! She took time from her busy life teaching law at the university in Salzburg to introduce me to her 2 kids eating entire Ben and Jerry´s Ice cream on a Saturday and sit with me to talk about her husband´s bar. "The people come here to talk to Darko, plain and simple. They love the multi-culti(multi cultural charming!) feel of the place and everybody around the world knows the place. It used to be the one of the only smoking bars in the city and of course the smokers find it and the government said "no no" we have to do as the other European nations do and ban smoking and all of a sudden they said, "o it is alright we can smoke in restaurants and bars now!" Now the people smoke outside on the casual wicker furniture and chat and have a glass of wine or beer inside. The government building is next door and they come here to unwind after work and chat." says Fleur. "O! that Coca Cola sign has to be hidden! We are not a Coca Cola bar!" she laughs and we do another photo, yet the photo of her is so beautiful! I see the quote...hmm. "I am a very inspirational person and people always write that they love that quote or that one etc. I love to write quotes on the facebook!" "We just had the huge music festival in Salzburg and that is why the place is a little messy. Many people came to celebrate and they had so much fun at the bar. I really enjoy the people from around the world and yet it is really Darko that totally loves the people. He used to work for the city and he finally said "I want to open a bar and be with people and talk all the time!" And that is why we have the cool bar!" she says laughing. "Darko is from Croatia and I am 1/2 Thai and 1/2 German. At the first couple years, my mother cooks Thai at home, by the way, we had Thai food here. Now Darko is working with the Croatian restaurant opposite us and everyday we shall have one item Croatia such as Antipasto. And little aperitivos such as olives with every drink to have a little bit of conversation." she says. "Alright the bar is in the middle of being redecorated and we have a girl making letters and drawing on the wall to showcase the new menu...kind of funky. 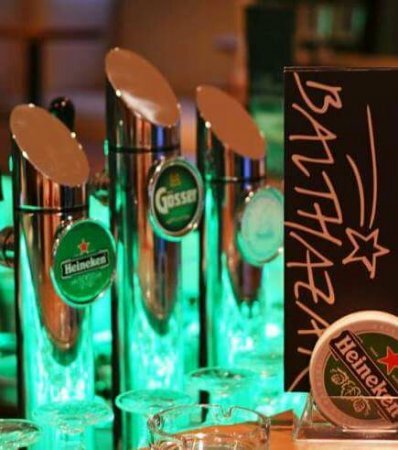 The bar lights were green, now they are blue, you know that kind of idea and people do notice it. One day last week I walked into the bar and Darko was just tearing all the stuff out! He said that he is redoing it! OKAY! Here we are. The wooden booths are new and now I can add my quotes to the bar. If you see my facebook all that I now write is quotes. Everywhere and the people always love to read the new quotes!" 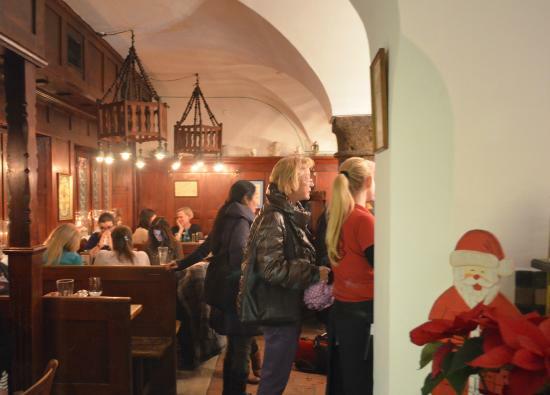 "It is a great Salzburg bar that is almost 12 years old, and now we redoing it to reflect our real tastes. I think that it is important for Darko to have Croatian food since that is where he came from and I want a beautiful bar and today we are adding the drawings on the wall, you know little touches that way. I hope to have it finished in 1 month, yet of course the people want to come to the favorite bar and so we remain open!" she says. These days the music on Fridays and Saturdays give such a lovely compliment to the food and beer. The guests are always dressed nicely, having a fun time and drinking much Weisse Beer here! Peter says that he loves his job, "It is a difficult career, and it involves a lot of experience and knowledge to do it successfully plus you have to have trust in the team. My team is great and many have been with me about 20 years and I know about 1/2 of my guests that come in here year after year. And they know me. The tourists that come to discover us love it and I do it because I love the guests honestly and the happiness that they have. It is the career that I chose." "The girls love Weisse Beer since it is sweet, yet it has gluten in it, tons, and that is why we now have gluten free that is available in over 200 locations in Europe, and now everybody can drink Die Weisse!" chiefs getting together to try a little of their own beers, now when the owners drink you know the beer is good! 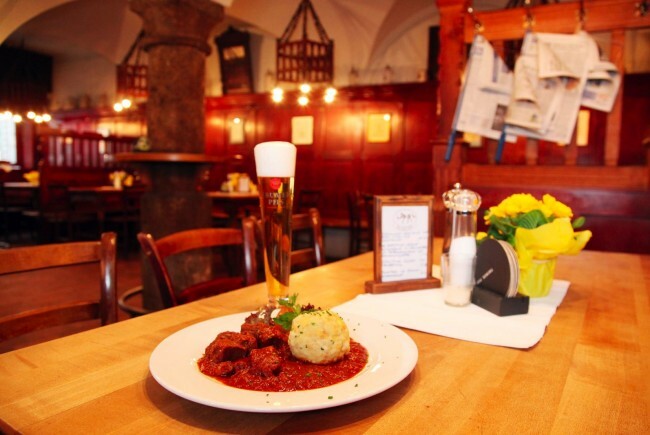 "The food is very good, it is a simple austrian kitchen and the beer is our own, bottled in the basement brewery. At first, the brewery only had its Weisse Beer here, which is literally translated to White Beer. 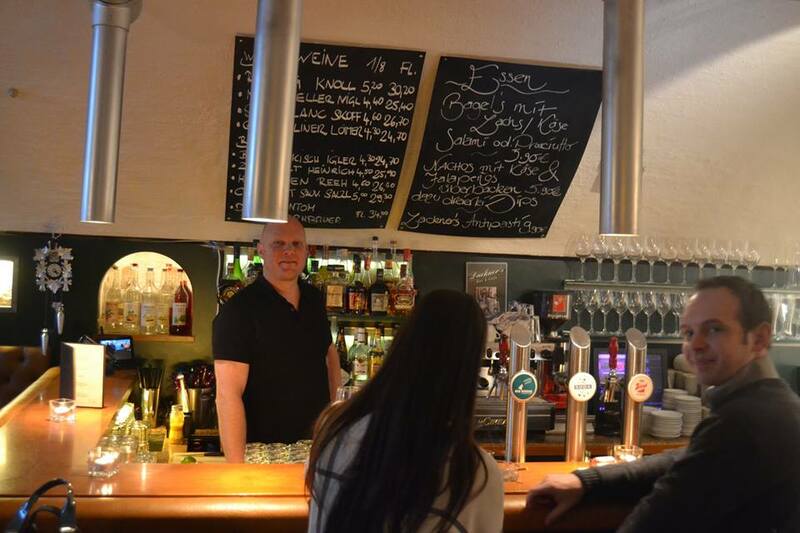 In 1998, they decided to allow other bars in Salzburg to carry the beer and now, almost 30 years later we have over 200 venues that carry the beer, including Germany. The gluten free is the one that we have in Foreign countries mostly since it is a small brewery and we just have only so many bottles we can make!" says Peter and , Die Weisse Mr. Felix Gmachl. "WE have the beer garden outside, the dining rooms inside and the bar area with the actual and real brewery here where we have music on the weekends and that opens everyday at 5.00pm. Yes, it is just a bar, it is just a brewery, it is just the restaurant, yet it takes a lot of people with each other working hard to do it right.!" he says. Fidelen Affen and the team...check out the facebook and website. http://www.fideleraffe.at/de/ "It is a Salzburg custom here in the restaurant. We have people share tables. People sit with each other and at the end of the night even if they came in not so happy they leave happy since they had good conversation and they met new friends. If a english couple comes in and I know that at my one table I have Americans and they speak english I sit these people with each other, or if they all speak English I try to sit people at tables where they understand the languages. 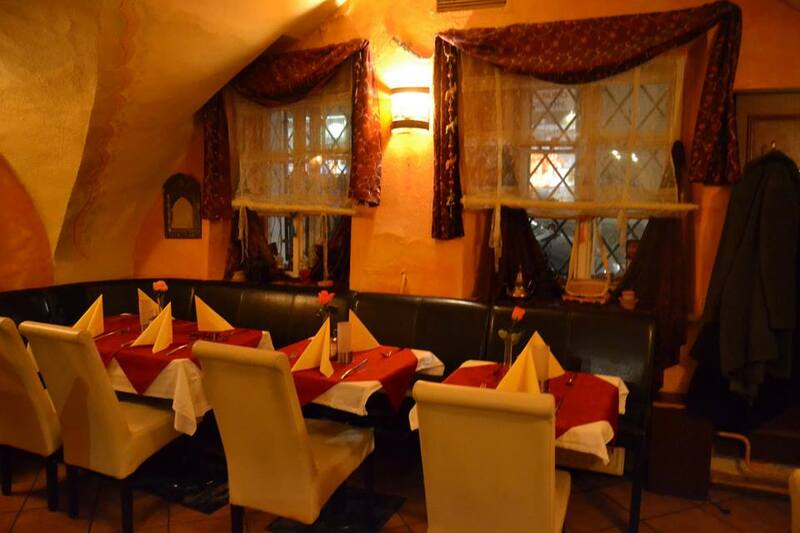 The imporant item to remember is that when you come to the Fidelen Affen you must sit with other people at the tables to have a entertaining night!" said the new young owners, Nicole along with her husband Micheal. You can´t miss the restaurant with it´s cool Monkey outside. "It is the same as it was 2 years ago when we bought Fidelen Affen, and the same traditiona nd cook since the 27 years that Robert had owned it; however, we added a couple of little details, like we have modern logos and modern social media and a professional photographer who came in and took image photos and brought the traditional restaurant into the modern day." says Micheal when I interviewed him today along with his wife, Nicole. Nicole walked me to the next door where the Tag 107Tage was prominently displayed. 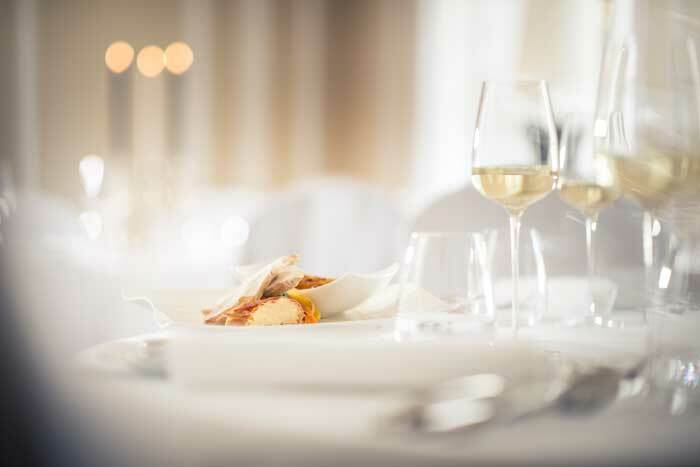 "We named the restaurant here 107 days since that is how long it was opened in the summer, and now it is being renovated to make it a modern restaurant with modern presentation of Austrian cuisine. You won´t find hamburgers here or chicken wings; however, we do want a young restaurant for the younger people to sit amongst colors and new furniture and new textures and feel comfortable to stay and chat with friends. That is the new one open 11.11.2017, we hope!" she says along with her assistant Anna, who does all the social media, such as their new look of instagram and facebook. "Here is the excellence and quality of our kitchen is at the heart, so our kitchen chef Alexander Irsic and host Michael Rodler always strive to select only fresh, regional and seasonal products. These are traditionally prepared with love, time and with selected ingredients." says Michael and Nicole. 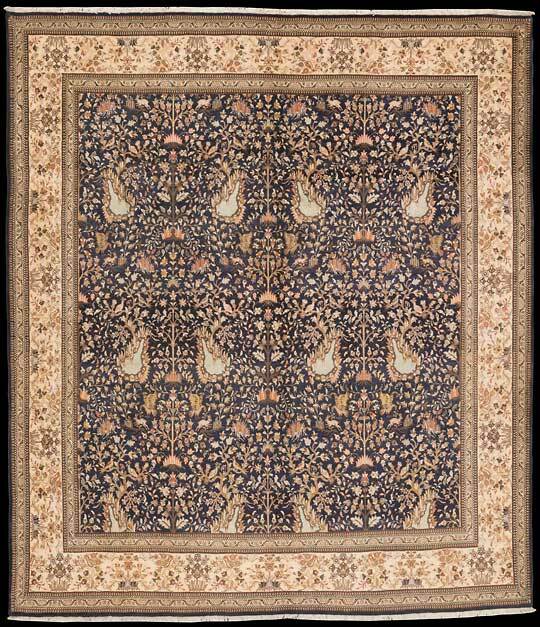 The Beauty of the Mesgarzadeh Salzburg Family Owned Carpets. 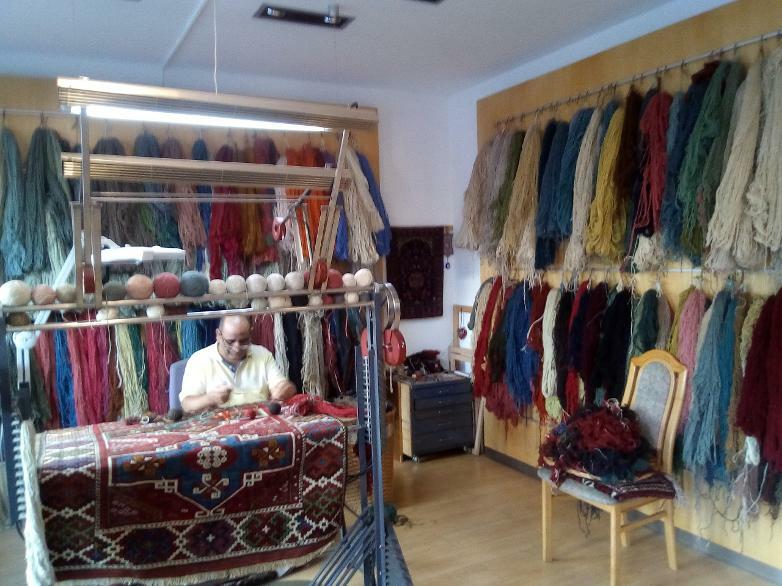 I had the pleasure of interviewing Cyrus, Ali´s brother, today who says, "We buy the wool and we give the wool to the weavers...it is all handpicked. The wool that we buy and work with the Iranian weavers if very expensive. Yet if we let them pick they would pick cheap wool. We need to know that each carpet each piece, all about it. We know the weavers in every country that we work with, and we know that almost all of the farmers in Iran farm first, and when they have moments free they weave.For instance a farmer from Iran will weave a carpet and when we receive it, it is one of a kind. If I call that farmer and say, I need an exact same carpet that you sent me, he will say NO! There is only one of a kind. He might decide to weave birds in one carpet and something else in another. They don´t use patterns in Iran, they only weave from heart. 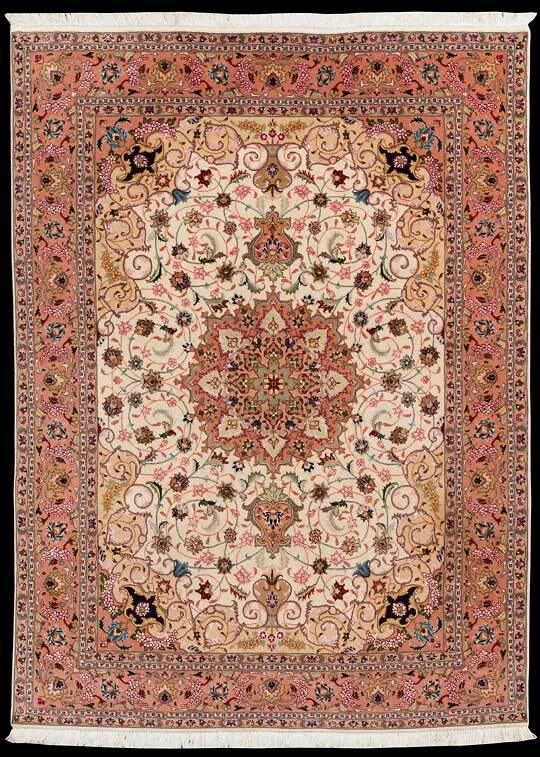 I prefer the carpets from Iran. They are special and they are the best in terms of the longevity of the carpet. These are the carpets that last 300 years. And we order the color and texture of the carpet and I know Ali said that we can wait up to 5 years til that carpet is ready. It is a long process. We know these weavers in Iran a long time. And everywhere. And while we don´t work with the people that carry the carpets on camels that is a romantic thought. We have trucks that go from tent to tent...yes they live in tents! sometimes that is true and we pick up the carpets. You know the better the quality the more these weavers are paid. They´re expensive too." he says. 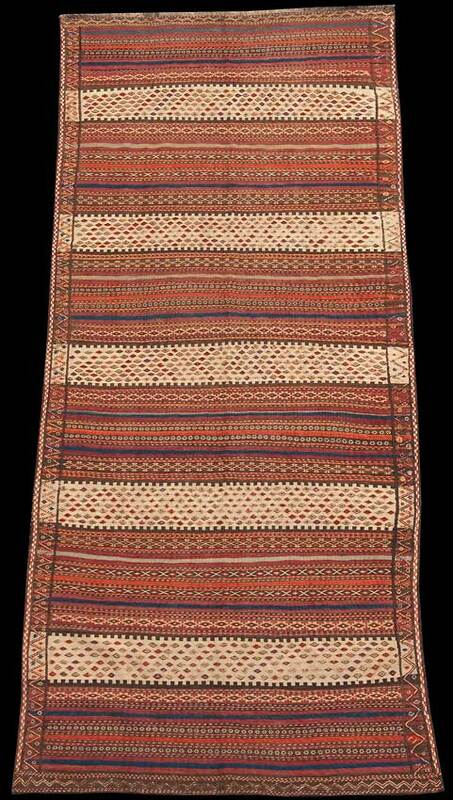 "However, now for the Afghanistan carpets, the weavers first bring their carpets to Turkey and we fly to Turkey to pick these up. It is too dangerous in Afghanistan now. For the last 2 years nobody goes into Afghanistan since the Taliban presence is circled around the country and had invaded the villages where the weavers work. 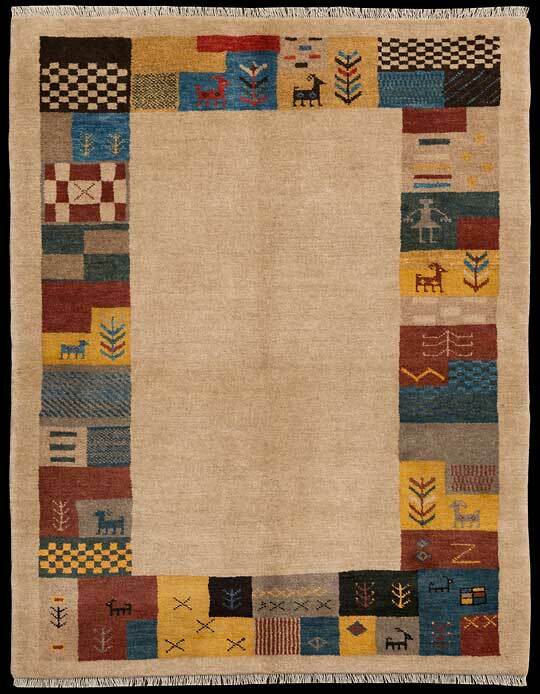 The rugs from Afghanistan are some of the best in the world, although they copy the Iran designs at times." says Cyrus. He is a EXPERT in the Professional Oriental Rug Business trust me! He knows it all! Ali, who is Cyrus´s brother, showed me two years since one of his favorites from Iran. They also have a silk thin one from Turkey that resembles the one I have at home. "Is it thin the way that one is? With the softness?" he asks. Yes I say I finally found one that is the way mine is. "Yes these are very expensive and rare. The little one here(the size of a table place setting) is 689.00Euros." Wow and why such expense? 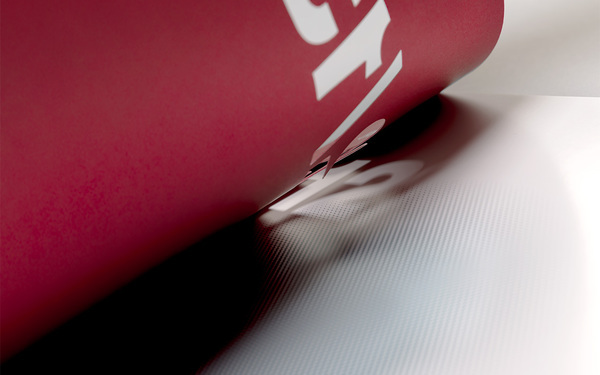 "The quality and they last forever. A good carpet lasts 300 years and that is one that you walk on everyday. It is the quality. A square meter on a good carpet takes one year to hand weave. If you have a big carpet it is a 4 year carpet. That is how long it takes to make it. That is why they´re that expensive. " http://www.derteppich.com/ "They have been here since 1963...and Cyrus and Ali´s father came to visit a couple of minutes while I am talking to Cyrus. He excused himself to make a call to Persia! Persia! I say, how cool to call Persia, China, India, Afghanistan, Iran, Russia, everyday! Hey, be right back, I going to call Persia! In addition to carpets that they have new every year Ali had said, "The old old Chinese we have in special rooms you know they´re traditional with butterflys and lotus and huge and extremely expensive about 80,000Euros. The ones in the store are mid range. My favorites now seem to be the tribal weaves from Iran. And of course the colors are unique to the classical carpet world. Bright." 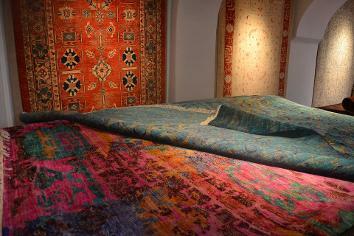 Below the Salzburg Festival Highlighting the Rugs of Mesgarzadeh Salzburg! Much better, the entire family is sitting at the Hanas Rasoi in Salzburg. Bheem Singh And Ahluwalia Family. "Of course it is a Indian Restaurant, yet we come from Northern India. 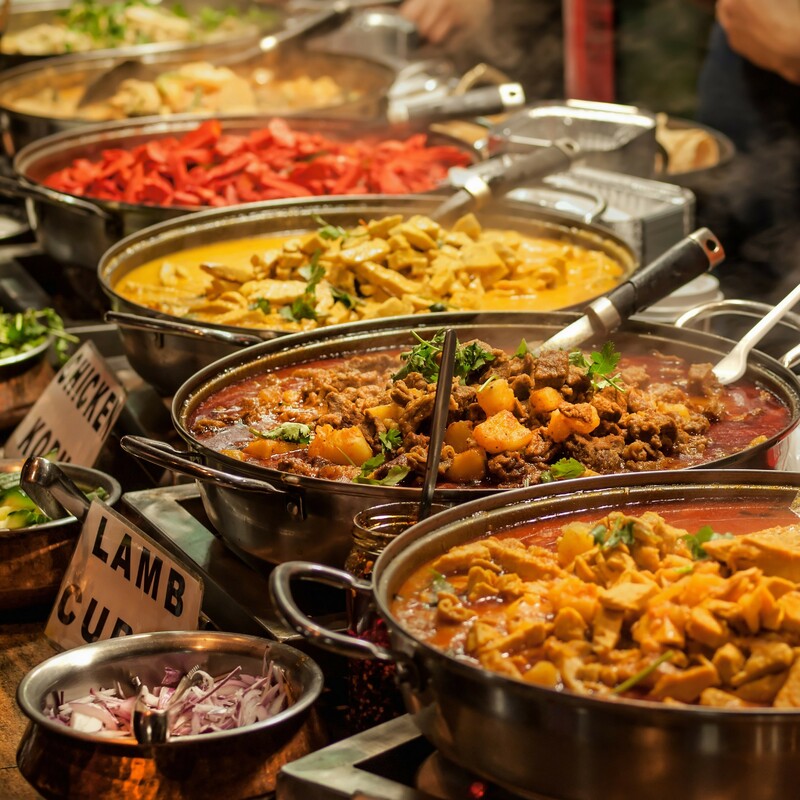 Not the most norther part where the conflicts are, yet each region of India has it´s own cuisine, such as the regions of Italy do. We use lamb and chicken on the menus, and honestly it depends which religion sect you come from since some religions of India forbid you eating beef. It is the religion of the person, not the region they come from. The tourists ask a lot of questions, such as you and the only thing that I can truly tell you is that if Indians ask me about my restaurant I ask them a simple question. Do you come all the way from India to try Indian food or to try Austrian food? The other tourists can come here, of course, yet for me as a person from India I go on vacation to honestly try other culture´s food." says Alvin seriously. He is one of the sons of the owners who today flew to their homeland country of India to visit. "Honestly, it is nice to have to work here a couple of weeks. I am getting tired of the Indian food sometimes, though and like to eat other places!" WARNING : he is hilarious! "Here try one of my favorites which is theMethi Chicken with Ginger, Curry, Garlic, Garammassala(which is about 12 spices,) yet again don´t quote me on the 12 spices sometimes, for instance if I make it there might be one or two spices I forget to add." Which when Alvin says that he laughs yet I think he might be totally serious. "Sometimes if I am on a date and I want to impress a girl I ask the cooks here to let me see how they make a Indian dish. Then I ask them to make me a little bag and I take all the ingredients home and I cook for my date. That is if she is a little experimental of food and if she loves to eat. If she is real picky, I take her out to dinner." Alvin says. You can go onto the website and make reservations or you can call: 06 628 43 93 9. 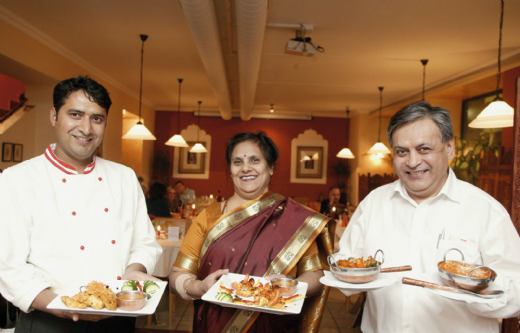 I love the authenticity of the Indian Restaurant and when I spoke to Alvin´s mom and dad a couple of years ago, they said that their dream is that every item in the restaurant would come directly from India. 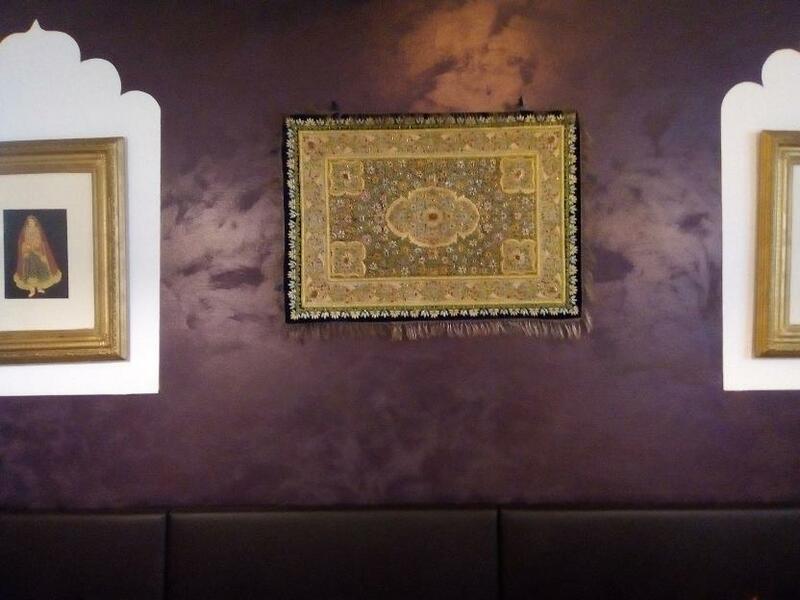 When I asked Alvin about that today he showed me some of the authentic pieces, "You can definitely see that type of decoration in a restaurant in Northern India, " he said as I took pictures of the beautiful Indian woven rug and the deep painted purple walls. "That is a Royal color of India and many place paint the walls purple." My buddys, Simon, and the Capo Josef. "That is my boss," jokes Josef and to which Simon hurriedly jokes back, "O no no no, he is the boss, why is there a problem?" And of course the funny conversations start. You can not enter the Hotel AM without expecting humor. Since the best thing about being the boss of the Hotel Am says Simon, "Is that I can go golfing everyday. And if I even pass a McDonald´s restaurant, I start to get the shivers!" 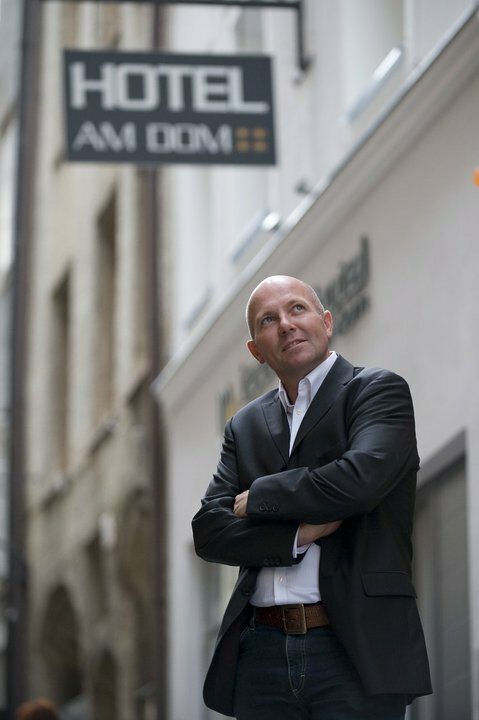 "What do I love about owning the Boutique Hotel am dom? Going golfing in the afternoon..." says the low key owner of the truly different modern eclectic(think Andy Warhol) 1300 year old building in Salzburg. Since "stress was" a huge part of his owning 3 McDonalds every day for 20 years,"we did 2000 guests to 15,000 guests every day at each one." he is "very happy. The happiest I´ve ever been in life now." since owning the am Dom 6 years now. "When my life is McDonalds since my dad had 5 of em that is what I knew I had to do...the youngest McDonald´s owner in the world at 24!" he proudly says, "yet I always knew that I would do my own thing one day." "And include that photo," he says as I check the photos..yes that is the breakfast room!..he is very HIGH ENERGY... when I say that he says, "Yes we had stress everyday and now I love McDonalds but every time I go in I have operational stress right here the minute I walk into the restaurant." he says as he holds his heart. I can´t stop laughing at him he is hilarious. "You know I hear the bells and the machines and I start to go crazy everytime I enter McDonalds since I owned 3 for 20 years..." Laugh again. 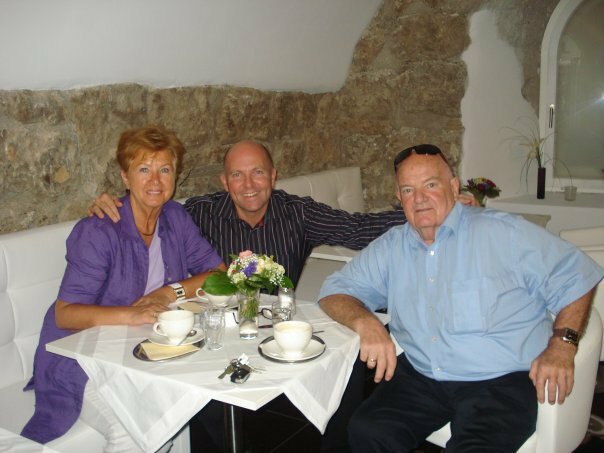 Pictured left with mom and dad, "Trust is the one ingredient that you need," he says when I ask his advice for young entreprenuers..."Trust in your vision of the ideas of the future...trust in your dreams and if something doesn´t work cut it out and trust in the way it is now. Cut it change it and continue with that idea." Josef says. And you can always have the kids birthday in the 1300 year old cellar now used "to sit and chat and watch tv with the kids." he says...below his daughter´s birthday! 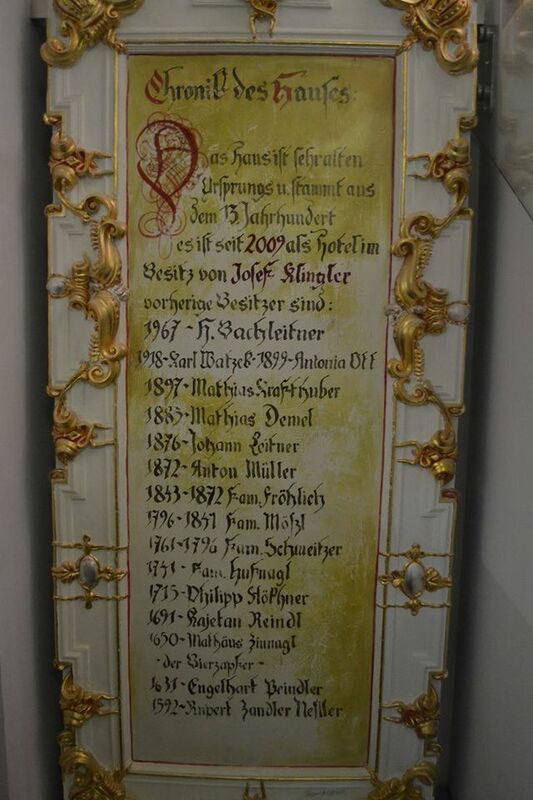 Pictured below is the list of owners of the Boutique Hotel in Salzburg. Josef personally researched everyone to try to find as many as he could and is happy to include himself! 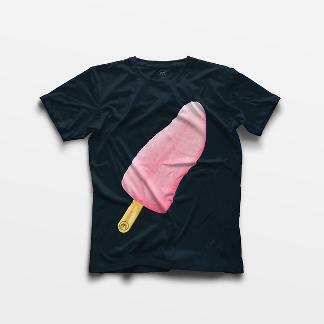 The cool one-of-a kind Tongue-cicle from MiamMiam,"We had 50 white and 50 black and we´re already needing to do more. We´re sold out of all of em. People love the t-shirts and that is something new we made along with the young 6 year old agency." says Phil the creative design side of the agency. "Actually there is only 2 of us here. Me and Senad." 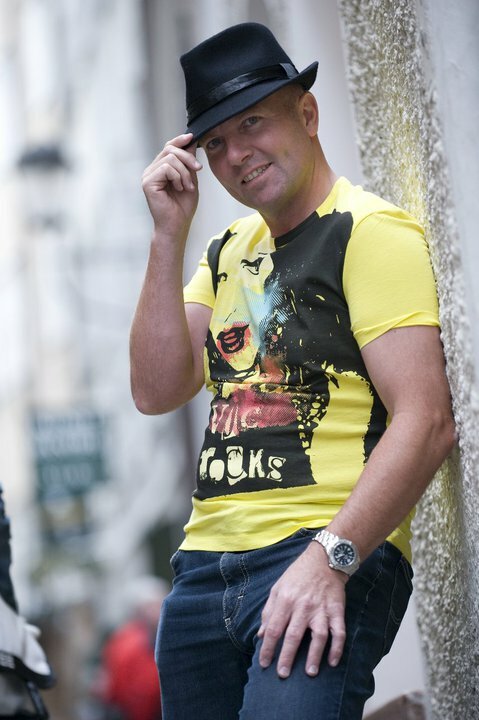 He says that his agency, "Does the brand name advertising and grahic design and art all that a company would need. Right now we´re helping to open a new restaurant that has non-pork sausages in Salzburg...I guess Salzburg is sausage capitol!" he laughs. Meet native Salzburg photographer at MiamMiam the cool young advertising agency and while you´re at it check out his AMAZING photos on his website. He did his master´s PHD type study of BABOONS in AFRICA...yes I know...wait til you meet him. Adorable. Set in the restaurant that has the year 803 on it...Um wow! Is that cool or what! An abbey with monks practicing today it has the most beautiful architecture imaginable in many hidden rooms...the downstairs one is amazing...and the concerts are wonderful...I saw Don Giovanni and fell in love. Wonderful actors and dinner. For me sitting right in front waiting for my date! is an experience I will never forget! The actors sing right here and I mean right here! it is exciting and cool. Loved it. "Here on the wall is the owner and the family. 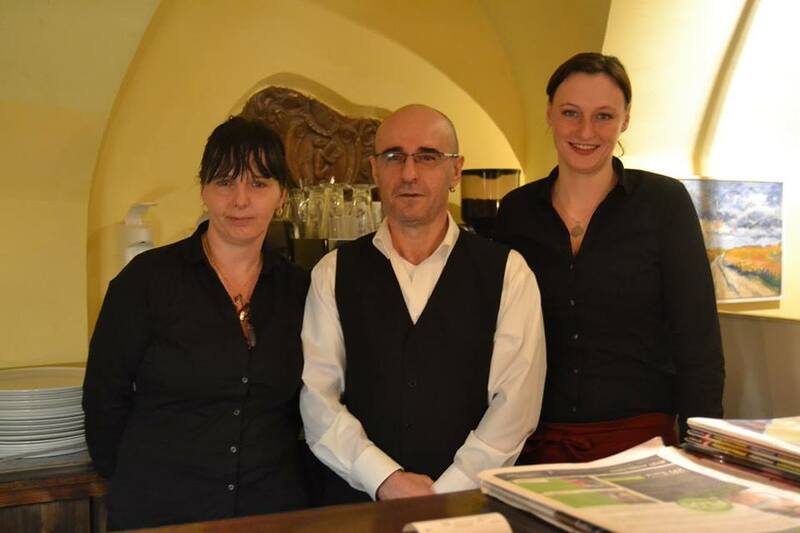 It is a big family and they own the restaurant and they own the hotel however they have different managers , and now each one is individually responsible. The food is great though all Austrian. 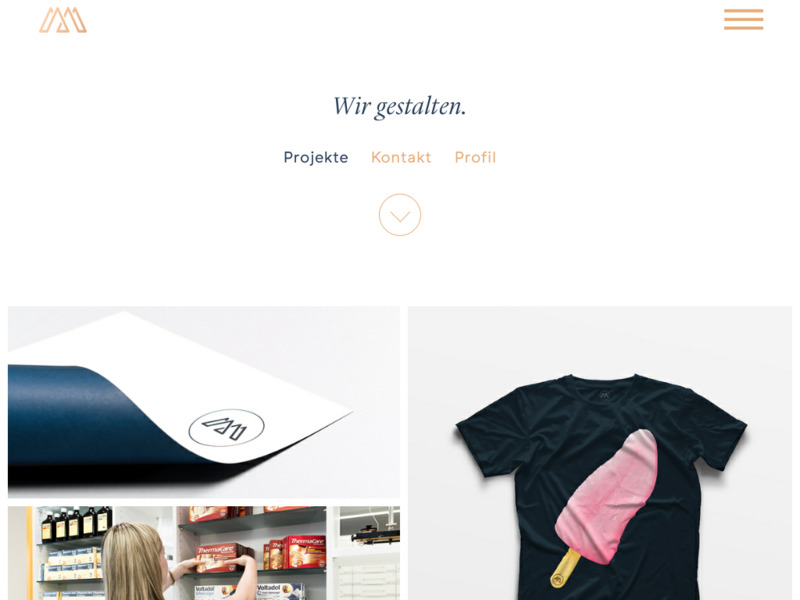 Try the Struedel." she says as she leafs through the menu. I personally love the elephants! 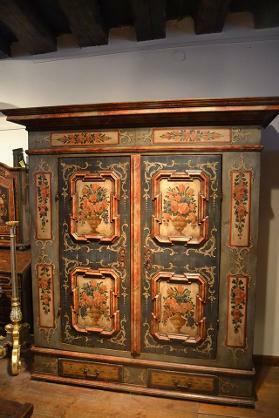 Johannes George Lackner is 4th generation of amongst other things cuckcoo clocks, wooden chess sets, nativity sets, and such beautiful armoirs and dowry chests that you´ve ever seen. His great grandfather was a master woodcutter and now George says, "I wanted to travel the world and I wanted to work on a yacht that is what I really wanted to do and my father sat me down and said okay you have to choose either you travel the world or you take over the business and if you don´t want to do the bar and the business I will have your sister do it! So I didn´t travel the world I worked inthe family business here." The beautiful bar George started himself, "That is really my addition to the family. I am the owner of the bar and Sebastian is my bartender." Sebastian is shy by the way and I had to really coax him to ask if I could take his picture! Johannes George is adorable always happy and smiling and funny running up and down the stairs to help people out and to show me the cool items they have. There is wood everywhere and he says that the family buys the wood and handcarves the items in a huge woodshop. 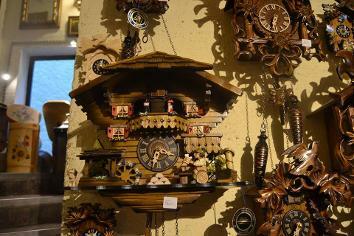 I say that he should buy his wood from Albert Thurn und Taxis since he owns big forests and George says laughing, "I´m sure he has great forests in Bavaria but we buy the wood from the Austrian forests and the black forests to make the cuckoo clocks." 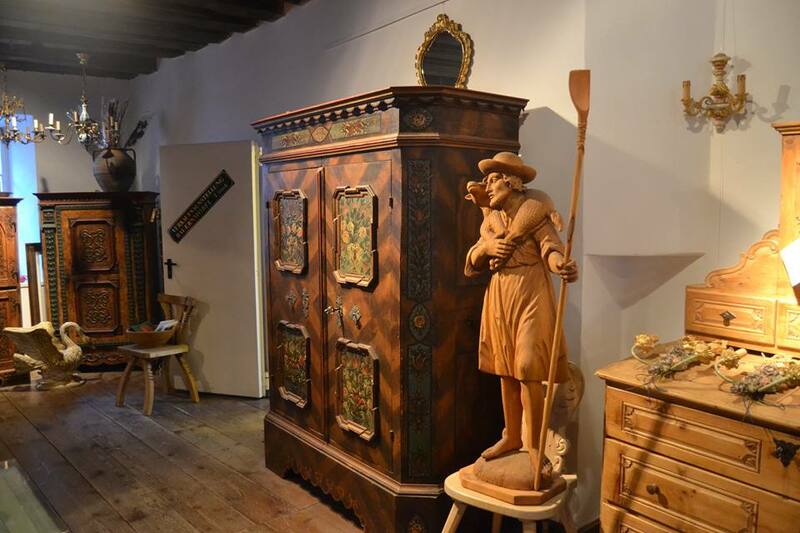 "The beautiful gift that is a wedding present above is my favorite" says George..."it is a traditional wedding present from the 17th century and it is original I didn´t even have to restore it...the cost is only 15,000 euros." hmm pretty good I think not as much as the Elephant even. 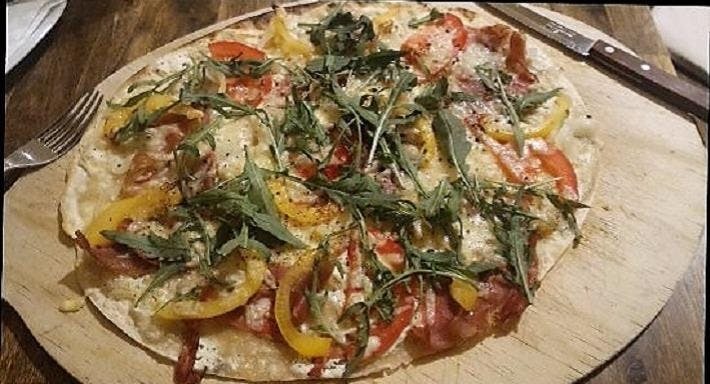 "I come from Pakistan to study my masters in cooking and I fell in love with the Italian food and people and that is why I opened my Italian restaurant here and my Pakistan restaurant is about 3 months opened first. That one is all of my designs and I am proud of it. The one here I redesigned yet it is all me. I fell in love with a Austrian lady and now I am here. Her sister, (pictured above) works with us and all of the about 6 and 1/2 years here we all work as a team. That is why each person is important to us." 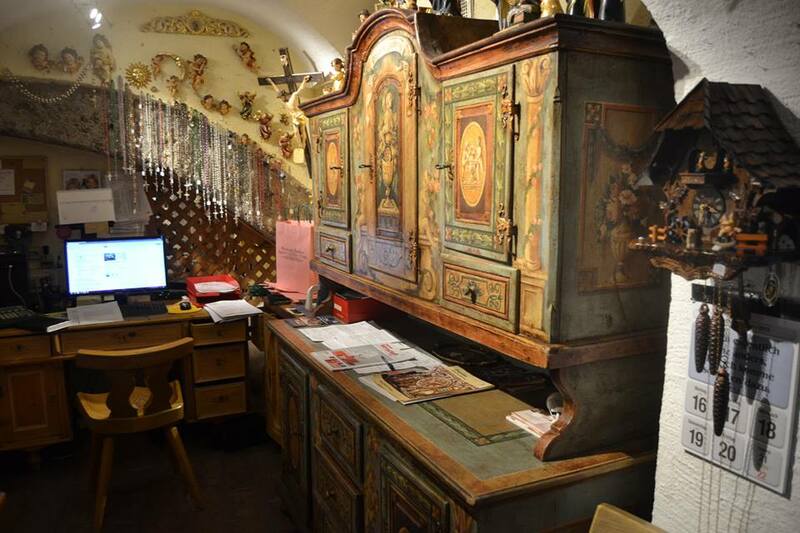 At Trattoria Domani in Salzburg you can see the owners in the kitchen, from Pakistan and superb cooks, to the fun team although shy at the pizza ovens to the many Venetian masks, "Very expensive since we made these to fit the restauant," says Irfan the owner. 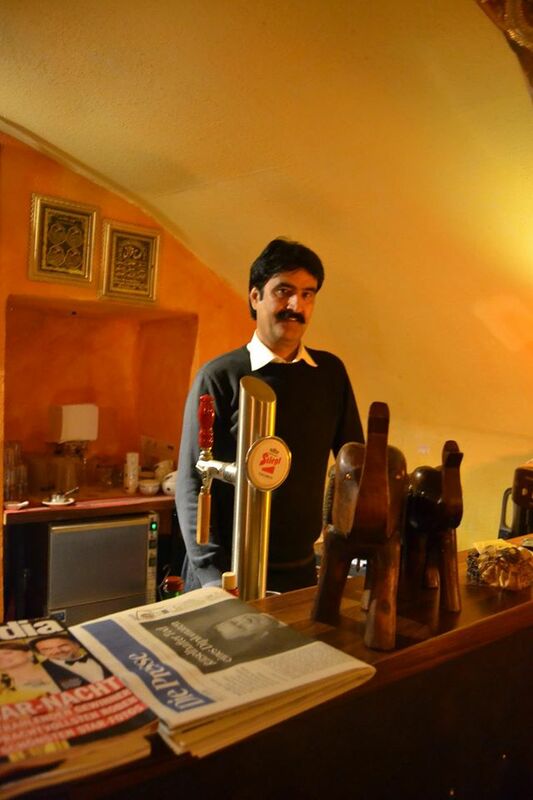 He is from Pakistan and owns the Indian restaurant right down the lane named Indiya. Shiite is the person responsible to running the beautiful tiny exotic IndianPakistan restaurant here. "I love being here. Everyday I make about 100 lattes...and I know all the people that come. My favorite is espresso. I have one every day." he says... 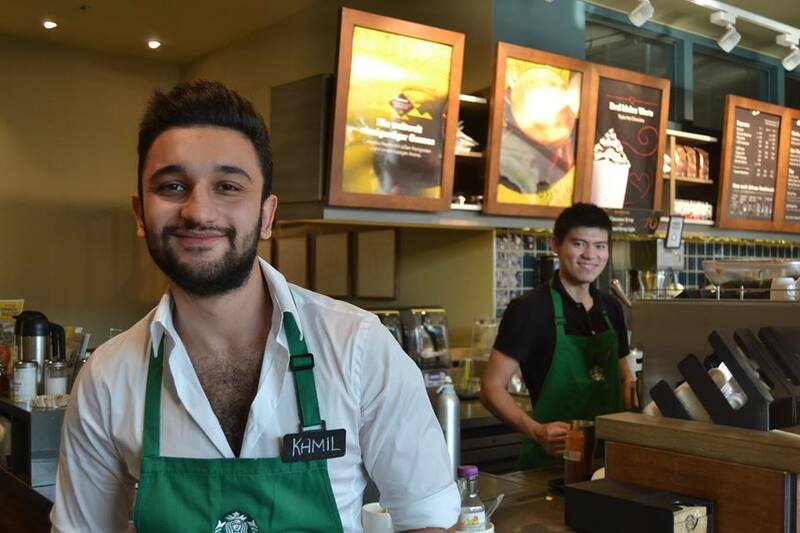 I say that the Cia has Starbucks and that the barristers have to write...the lady that orders white mocca instead of the names of the people that is how top secret it is..."I know yesterday a lady said why do you want to know my name? That is odd to ask why do you do that and I had to explain to her that Starbucks writes each personal cup to give to people! Wow!" And continue straight down the road past the McDonalds a couple of blocks and there on the side walk sits a New York Style kiosk that is named Chili Cheeses Kebab...with Kebabs from Turkey, the Balkans and a man who is Austrian that happily gives you and all the hungry students at lunch great deals.! "Ha ha ha English," says the three little ones as they eat the lunches and I try to ask what the hat means...it is a sports team! they say. "Starbucks? It´s expensive I would probably go somewhere else...hey wait a minute is that a triple hot chocolate?" I am staying. Alright come zoom straight to lunch and see what all the kids know...the best place for great food and that 5Euros that mom and dad give to lunch gets you a kebab and soda!